We look forward to wowing you with the most exceptional Nutanix Experience in existence. In everything we do, we ask: How can we elevate our customer’s experience? Using that guiding principle, we’ve worked to greatly eliminate bureaucratic procedures typically involved in service procurement. 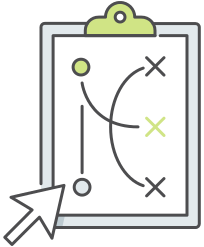 Our ever-evolving delivery practices incorporate lessons learned from field experience and working with Nutanix Systems Reliability Engineers to identify friction points in the Nutanix implementation process. This one of a kind experience will ensure your team goes from implementing your Nutanix Enterprise cloud solution to certified for production seamlessly. PGTEK’s Nutanix Service offerings are delivered by leaders in the industry. Our team of certified professionals are bleeding edge technologists, who strive to upset the Nutanix Services status quo. Our process is constantly undergoing refinement to stay ahead of the technology curve and keep up with the rate of development in the Nutanix Enterprise Cloud space. This enables us to implement and knowledge transfer on Nutanix’s latest feature set. 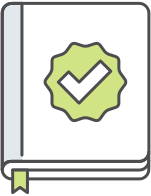 A certified consultant, with hundreds of engagements completed, is the perfect compliment for your Nutanix solution. Whether a full service migration, comprehensive fit-check, residency, or complete custom scope, you can be sure that you are maximizing your investment by leveraging our experience. We’re passionate about designing solutions that serve you. PGTEK’s Nutanix Cluster Deployment service is the premium Nutanix Deployment service in the industry. Delivered by our team of Nutanix Certified Engineers that have completed thousands of successful deployments. Remove the guesswork. Maximize your investment, ensuring your Enterprise Cloud solution is deployed to perfection, the first time. The Tech Day Service provides time-based access to expert resources who possess a wide range of industry experience across Nutanix and Infrastructure solutions and operations for a short-term engagement. This offering is meant to assist customers accelerate their Nutanix platform adoption by providing short-term architecture, operational or management expert advice after the platform is deployed. 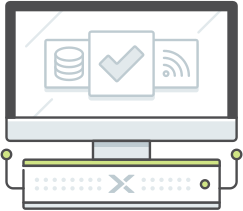 Migration Workshop Service trains your team to migrate from your existing ESX hyper-visors to the Nutanix AHV Hyper-visor. An experienced consultant will work with your team to deploy migration software to your Nutanix AHV cluster and demonstrate the migration process. This will enable your team to complete your migration under-budget/at-your-own-pace,with confidence. Remove the guesswork. Maximize your investment, ensuring your workloads are migrated properly, the first time. PGTEK’s Nutanix Migration Service for Nutanix Files assist customer in moving SMB and NFS data from existing File Servers or Network Attached Storage systems to Nutanix Files. Our Nutanix Certified Engineer will prepare, plan & execute your consolidated file storage on the Nutanix platform running AHV or ESX. Maximize your investment, ensuring your Enterprise Cloud solution is migrated to perfection, the first time. PGTEK’s Nutanix Pro Check service is designed to provide an existing Nutanix customer with a formal evaluation of their Cluster’s health. Your Cluster will be thoroughly reviewed, descrepancies documented with remediation plan. Though the deliverable is discovery-based, our engineer will work diligently within time scope to resolve as many items as possible during the engagement. Maximize your investment. Ensure your Enterprise Cloud solution is healthy and resilient. PGTEK’s Nutanix Data Protection Implementation service provides you with deployment of integrated back-up and / or disaster recovery solutions on your choice of Nutanix-supported hyper-visors and hardware. Delivered by a Nutanix Certified Engineer with the experience to get you up and running fast. Eliminate uncertainty. Maximize your investment. Ensure your Enterprise Cloud is properly protected. PGTEK’s Nutanix Implementation Service Calm Workshop provides you with a hands-on opportunity to evaluate Nutanix Calm in your Nutanix test environment, guided by experienced Nutanix Certified Engineers. This workshop provides rapid adaptation of this powerful new product offering by Nutanix. PGTEK’s Nutanix Implementation Service HYCU Configuration adds value to the first Data Protection Solution that is Natively Integrated with Nutanix. Included with the configuration is a Same Day Knowledge transfer of HYCU’s Core Functions, Capabilities and Administration Best Practices including a High-Level overview of the Web-Based Management Console that orchestrates HYCU Data Protection.